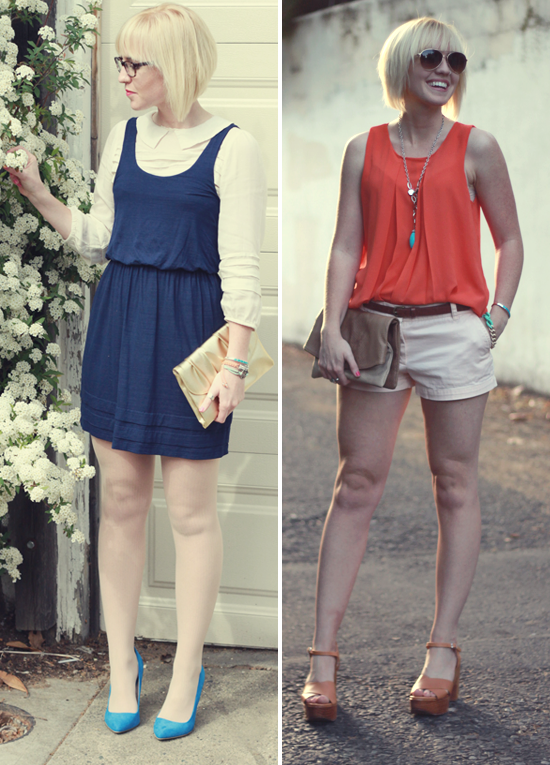 It’s fun to look back at your style from just a short year ago and see how much it has changed. Hopefully you’ll find something in the mix to inspire your outfit choices for this Spring season. 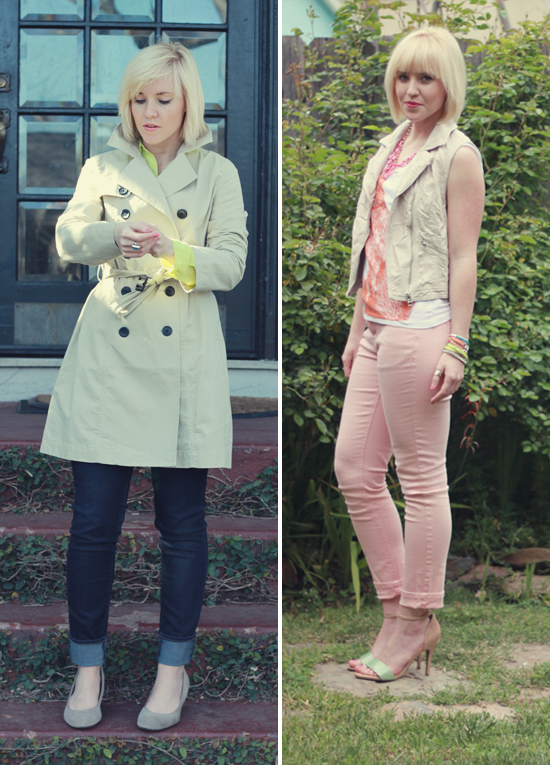 Try a trench with your jeans and pop of neon. Pair pinks, oranges and mints. 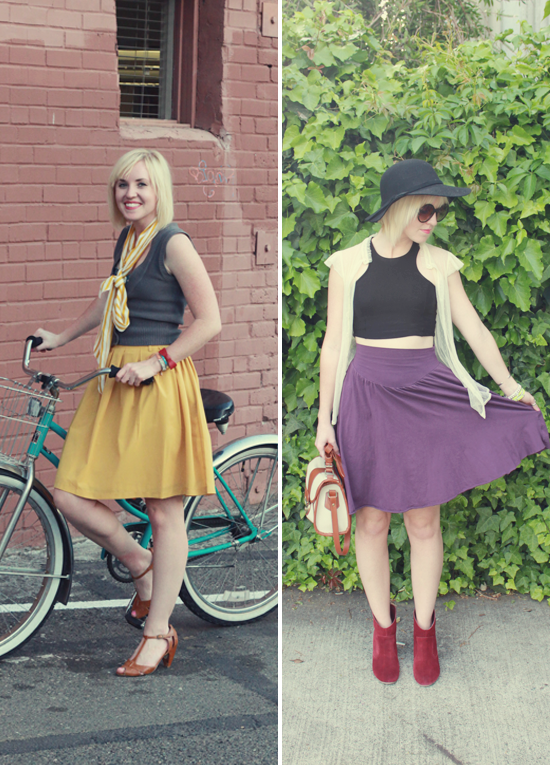 Spring is an amazing excuse to bust out your whimsical items like this skirt. Or just relax on the weekend in your favorite chambray dress. Pair light pinks with subtle treys. Or try light denim and mustard yellow. Tie a lightweight scarf around your necklace to instead of a necklace. Pair your favorite crop top with a wide brimmed hat! Combine two of my favorites stripes and lace! And don’t forget about pairing pinks and reds! Try layering your favorite collared shirt under a dress. Mix light pink with a pop of orange and accents of brown. Hope you’ve enjoyed—let me know which one is your favorite look! The scarf photo is definitely inspirational as I have two scarves in odd patterns but long and thin enough. Thanks! Rachel xo you look beautiful in all of these. great tips!! the gray tee + pink midi skirt is my fave! I love doing this too! 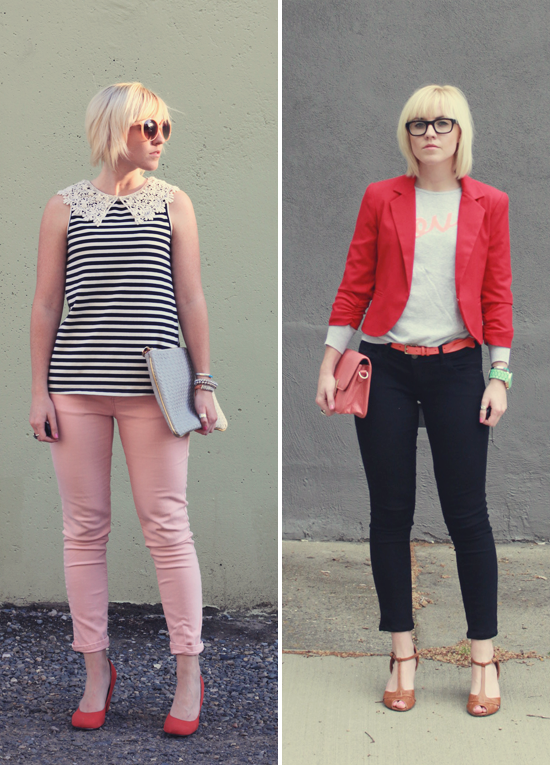 It is so fun to see how your style has changed <3 Love the outfit with the pink midi! The last outfit suites me so well! Thats one of my normal go-to outfits!